If you feel that years of cultivating personal money habits are now affecting your business, now's the best time to take action and weed those habits out. Managing cash flow can prove difficult even for seasoned companies with experienced financial officers on board. Beginning freelancers and small-business owners, however, are even more vulnerable to poor money management. Now, I get it. You’re gaining experience and learning things as they come. In fact, in my business, I’m learning money facts the hard way all the time. But while my financial knowledge grows by leaps and bounds, I wish some of the bad habits had never been formed in the first place. Apart from the same ‘ol “get in shape” and “learn to play the guitar” kind of goals for 2019, it might be a good idea to leave some headspace for improving financial acumen as well. I didn’t put much thought into learning about money until the idea of running my own business came to life. At some point, I picked a copy of Robert T. Kiyosaki’s Rich Dad Poor Dad, and that’s when it dawned on me: My financial knowledge was a bummer. The book had been first released in 1997 but its lessons are still valuable today. Financial struggles often stem from a lack of even rudimentary financial education, and Kiyosaki does a wonderful job of highlighting the importance of being “knowledgeable” about money. 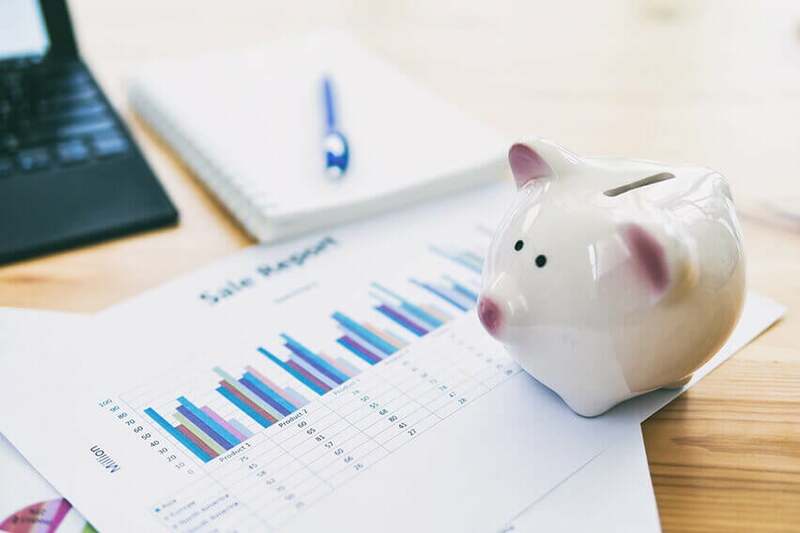 According to the 2016 Financial Capability Survey the Finra Foundation conducted among over 25,000 Americans, there is still plenty of room for improvement when it comes to practical financial knowledge. In the course of the survey, only 46% of the participants stated that they had saved some money for “rainy days” and could cover unexpected expenses or emergency situations. The survey also exposed insufficient access to financial education at schools and low participation if such education was offered. If you’re on the lucky side and have already acquired some financial powers, then you’ve got a head start to the race. But if your knowledge about money is limited to a straightforward earning/spending pattern, then it’s about time you brushed up on it. 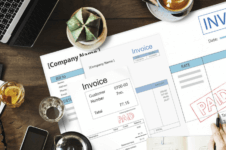 When you’re running your own small business and aren’t passively collecting a salary, with the accounting magic taken care of by the company, the onus is completely on you to manage your finances. Put trust in your bookkeeper/accountant (if you have one), but remember to keep your finger on the financial pulse of your business too. The goal here is not to become the financial know-all. You don’t have to go for a Ph.D. in economics either. Think of it this way: If you want to change your diet, keeping a food diary is a great step. If you want to change the way you handle money, tools like FreshBooks make it easy to capture everything going on in one place. Remember to supplement your tools with some learning. A handful of quality books on money-management will do for starters. Check out this article for recommendations. 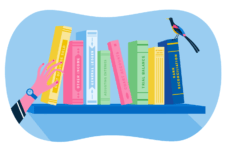 Bonus Tip: If you want to take your financial superpowers to the next level, check out the FreshBooks Learning Hub for more info. Both a day job and running a business each have their undeniable merits. 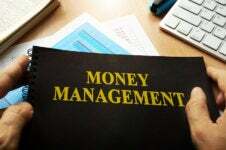 On the one hand, a day job grants you with a feeling of financial stability – you can expect a paycheck at a certain day of the month and build your financial plans around it. On the other hand, a business operation gives you more autonomy and, perhaps, earning potential. The flexibility, however, comes with risk. For business owners, income is much more volatile, and unexpected expenses are more numerous. Taxes, credit card fees and unpaid invoices can hit you really hard at the worst possible moment. When I started my own business, this mindset lingered and I’d constantly overestimate the steadiness of my income. When the payments were late and new expenses piled up, it all quickly fell to pieces.It’s so nice to think about all those things you will spend your bucks on, but sometimes it’s just better to wait until the money’s in your bank account. If you feel that you’re constantly spending too much and failing to meet budgeting goals, track and categorize all your expenses. You may find there are “empty calorie” purchases that you can eliminate right away. For bigger purchases, you’ll be able to see what’s realistic, and when. It’s not always a matter of “never” so much as “not all at once”. Have you ever tried to save some money, just in case, only to tap into the savings within the same month? If this sounds all too familiar, then you’ve probably formed another bad money habit. Even if you consistently set a portion of your income aside, there is nothing stopping you from cashing out for most trivial reasons. This, in turn, gets you trapped in a vicious circle where your savings never build up. Although having an emergency fund for “unexpected” expenses and volatile times is not exactly arcane knowledge, it’s easy to abandon the idea of establishing a money reserve for the sake of living the life you want to live. There is another aspect to this. Managing money in the age of mobile banking and cashless transactions is so convenient. You can move it around with a few taps on the screen of your smartphone. You can easily transfer funds from one account to another without giving it second thoughts. This simplicity also makes it all too easy to cash out. This is why so many attempts at creating an emergency fund fail miserably. I know how you feel. It’s so frustrating to discover that your savings are shrinking like a deflated balloon instead of growing ripe and plump. But there might be a solution! If you’re constantly struggling to keep your savings intact, try to make accessing them like an obstacle course. It might be a good idea to keep savings in a high-interest, but less accessible account of keeping them exposed in your checking account. Try to make your emergency fund a tad more difficult to access. Store backup money as far from your active budget as possible. And remember, keep your business account separate from the personal one! Do you ever feel like showing off, just a bit? After all, you’re a business owner, aren’t you? When you look around amongst fellow business owners, it seems that being a business person comes with an obligation to look the part, no matter the cost. When I first sat down to create my business website I erroneously thought the site had to be pretty and full of bells and whistles to reflect the work I wanted to deliver. I’d browse expensive themes and plugins, ready to invest money for the greater good of my business. After many hours of cherry-picking, I gave myself some cool down time before committing and eventually decided to settle for a less expensive solution. I think the tricky part about business purchases is that, justified or not, they create an immense feeling of accomplishment. Whenever I consider buying a piece of software, I’m getting all pumped up and excited how it will change my work. Heck, I hear some people get goosebumps buying office supplies! But how many of those purchases are absolutely necessary? How many of them bring tangible improvements or give your business an edge over the competition? Whenever you face a business purchase, be completely honest with yourself and evaluate the real benefits you can reap. It might be a good idea to establish a cool down period (two weeks works like a charm) before committing your money to a prospective investment. Out of all bad money habits that can really hurt your business, short-sightedness is probably the most dangerous. Let’s say you have one, steady source of income and a few regular expenses. Throw in a bunch of odd purchases and that’s all you have to worry about, right? But what would happen if those financial events became more complicated? Think about having multiple clients and working on projects of different duration and with varying payment schedules. Some clients pay on time, but for others it can take months. Some pay online and there are fees to consider, and some pay with cheques, which add to the timeline. When you add settling taxes, managing supplies and hiring subcontractors, it can all become complex quickly. Managing business finance calls for a more holistic approach. Ideally, you should be able to evaluate your results on a monthly basis and set quarterly as well as annual objectives to stick to. Make sure you know how to connect the dots, draw conclusions and adjust your budget goals accordingly. As long as you’re actively learning about money, your insight is going to get sharper, and you’ll catch more intricate connections that bound money, in and out. As a business owner, you’re the only person responsible for the condition of your business. If you miss some payments or forget to settle tax matters, it’s all on you. Your bookkeeper or accountant can help you to look at things from a wider angle, but the reins are in your hands. Does it sound intimidating? It doesn’t have to. FreshBooks is here to give you a helping hand and offer a better insight into your cash flow. As we’re well into January, it’s the last call to give your financial resolutions a final check and see if you’re on the right track for the rest of the year. Do you have your own bad money habits to quench? Let us know! 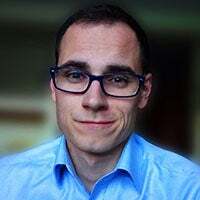 Freelance Contributor Dawid is a freelance copywriter and blogger at OctoScribe where he helps B2B tech companies talk human instead of code. When he's not writing about tech, he's enjoying the simplicity of analog photography and daring bike trips with his wife.